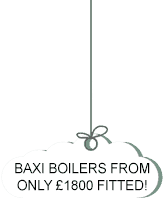 Get your boiler replaced in Bromsgrove for less than you think! Helpful Plumber are certified Gas Safe engineers (number: 550020) with over 10 years experience of replacing and repairing boilers, central heating facilities and gas appliances. 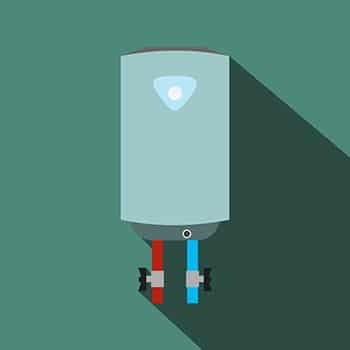 Newer boilers are much more efficient for many reasons but their main advantage over older boilers is that they are condensing boilers. The term is coined from the fact that boilers produce condense now and again. A condensing boiler will use heat from exhaust gases. These gases would normally escape into the atmosphere via the flue. A condensing boiler will extract this additional heat from the escaping gases by condensing it to liquid water, recovering the latent heat of vaporization. At times the gases in the flue get cool enough for the water vapour in the gas to condense out. This makes newer boilers much more efficient and that means reduced fuel bills. The boiler replacement will literally pay for itself over the following years. This guarantees that using our boiler replacement Bromsgrove service is the best value for money possible. We will remove your old boiler and install your new one! The Helpful Plumber will remove your old boiler and scrap it for you. We will make sure that your new boiler replacement is installed in the most efficient way possible (it’s not just about hanging the boiler on the wall and attaching pipes!). We are Gas Safe registered (number: 550020) which means we can legally and safely carry out the replacement. We will also register the boiler with Gas Safe and the Bromsgrove local authority. 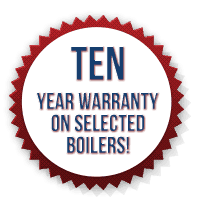 If you choose a Baxi replacement boiler, we can offer you a TEN YEAR warranty! You read correctly a 10 YEAR WARRANTY! Our boiler replacement Bromsgrove service will also beat any genuine like for like quote. What do you have to lose? Get in touch today by calling 07885 403609 or by clicking here.